Are you thinking about applying for pupillage? Want to know how to submit applications through the Pupillage Gateway? Well, you’ve come to the right place! This page tells you everything you need to know about the Pupillage Gateway, along with all-important top tips for completing the online application form. So to get ahead with your Pupillage Gateway applications, keep reading! What is the Pupillage Gateway? The Pupillage Gateway is a centralised system which allows barristers chambers to advertise pupillages. It provides specific details of the relevant pupillage practice area as well as funding and salary information. The Bar Standards Board stipulates that all pupillages must be advertised through the Pupillage Gateway. Some chambers accept applications via the Pupillage Gateway (approximately 100 chambers do this). Others accept direct applications. It is clear on the Gateway which method of application is relevant to each chambers. How does the Pupillage Gateway Work? The first thing you need to do is to register and set up a personal account on the Pupillage Gateway. Once you have an account, you can search for pupillages. You can use the filtering functions to narrow your search in terms of practice area or location. You then select the chambers you wish to apply to. Once this is done, you can complete a standard standard online application form for each chambers. Remember to check the deadlines! It is crucial to make each application specific to the barristers chambers you are applying to. A sample Pupillage Gateway application form can be found here. The Pupillage Gateway sample application form questions are listed below along with some handy tips for approaching and answering the questions. For this, mention societies, extra-curricular activities, or paid/unpaid employment. The barristers chambers want to see that you are a willing and successful leader. They will expect you to provide some relevant examples to demonstrate this. Try to tailor your explanation as to WHY the chambers would benefit from your leadership skills. Please provide details of your interests and any non-work related involvement. If relevant to your proposed area of practice, please explain in what way. Barristers chambers are looking for well-rounded applicants. It is therefore important to demonstrate you have interests and hobbies outside of work. Make sure you include details of any charity or pro bono work that relates to the practice area for which you are applying. Include how the skills you developed are relevant to your application. You could also describe challenges you faced, how you overcame them, and what you learned. Why do you wish to become a barrister? 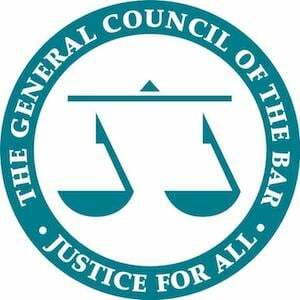 Remember – barristers chambers see hundreds of applications a day. Be sure to make yours individual and relevant to YOUR skills and attributes. Make sure you describe why YOU personally would make a successful barrister at the chambers concerned. What areas of practice are you interested in and why? Make sure you do your research! Clearly explaining your motivations for applying to that barristers chambers and why you want to work in that particular practice area is vital. Mention any work experience in the area you are applying to (for example, mini-pupillages). Explain WHY you enjoyed it, and more importantly why you will be a successful barrister in that sector. Give reasons for your choice of chambers. This section is crucial. Research the barristers chambers thoroughly. Make sure your answer demonstrates your interest in the chambers concerned, and that chambers only. Generic, copy and paste answers are no good! Barristers chambers want to recruit candidates they believe will thrive and be genuinely committed to a long future at their chambers. Why do you believe you will make a good barrister? Barristers chambers want to see that you have confidence in the skills you have developed both in your legal studies and any work or extra-curricular experiences. They will expect you to express your ambition to succeed at their chambers as a barrister. Make your unique qualities and experiences relevant to the practices of a barrister, and the work that the chambers do. Click on our What Makes a Good Lawyer page for further insight and ideas. Please identify any experiences or skills gained that you believe may help you in your career. Discuss any extra-curricular activities or work experience you have been involved with. You should focus on mooting, advocacy, and legal work experience, especially mini-pupillages. Barristers chambers love to see that you have a genuine interest. It is crucially important that you explain WHY these experiences were useful for your career, and what skills they helped you develop. What are the time frames for submitting Pupillage Gateway applications? From the end of November, applicants can access the Pupillage Gateway and view all the pupillages available. From the beginning of January, applicants can begin submitting their pupillage applications. *In any one year, it is vital to check the Pupillage Gateway for exact details of the opening and closing dates. What happens once Pupillage Gateway applications have been submitted? Your Pupillage Gateway account will be updated as and when the status of your pupillage applications changes. If you are invited to any interviews, some chambers will request that you select interview time slots via your personal Pupillage Gateway account. Put your pupillage questions to The Lawyer Portal Community. Get help, give help and join the conversation today! Get private, one-on-one BPTC help from the experts to help your fulfill your legal goals.